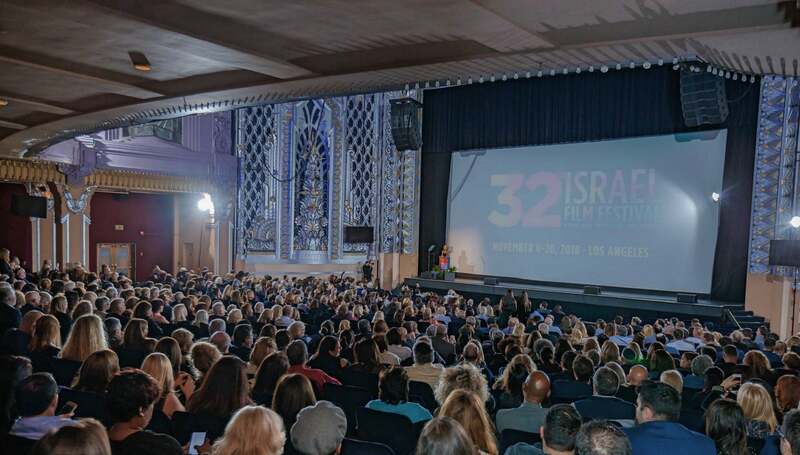 The 32nd Israel Film Festival in Los Angeles opened on the night of the midterm elections, November 6, mirroring the high-strung climate and divisiveness that characterize current politics. When the festival’s honoree Jason Blum, Founder of Blumhouse Productions, took the opportunity to publicly express his anti-Trump sentiment, several audience members began to walk out in protest. For a few moments, there was chaos in the Saban Theater, some booing and others cheering. After Blum had exited and Mistress of Ceremonies and Comedian Sunda Croonquist took the stage again, everyone settled down, ready to watch The Other Story, a film by writer-director Avi Nesher, who was also IFF’s honoree this year. Ironically, the film also dealt with the conflict between conservatives and liberals, but in the realm of religious vs. secular life. The film schedule of new features, documentaries, TV series, shorts, and retrospective films – totaling at about 40 new films – unfolds over two weeks, November 6-20, at the Laemmle Ahrya Fine Arts Theater and Laemmle Town Center 5. A special parallel program titled Jewish Identity Through Israeli Films takes place at the Skirball Center on November 13. Among the highlights are The Cakemaker, Israel’s Oscar and Golden Globe entry, a tender story about a love triangle, and the documentary Black Honey, The Life And Poetry Of Avraham Sutskever, about one of the greatest Yiddish poets, who survived World War II. Several other screenings are singled out as special events, including a sneak preview of The Unorthodox, about a man who starts an alternative educational institution; the West Coast premiere of Shoelaces, a loving story between a father and his special-needs son; the US premiere of Redemption, about a father who struggles with his own past as he tries to save his daughter; the documentaries The Oslo Diaries and To Err Is Human; the US premiere of Shooting Life, about a teacher who takes on a challenging position in a challenging town; a sneak preview of an episode of the TV series The Conductor, followed by a panel on the burgeoning Israeli television; the West Coast premiere of On the Spectrum , a series that deals with autism, followed by a panel on Disability on the Screen; and the LA premiere of the feature Working Woman followed by the Empowering Women panel. IFF closes on November 20 at the Fine Arts Theater with a screening of the festival’s award winners.